When it comes to removing junk cars, different misconceptions start taking place in the mind of a vehicle owner. There is a number of things that owners do not understand. This further cause them to let their junk cars sit in the yards for years. 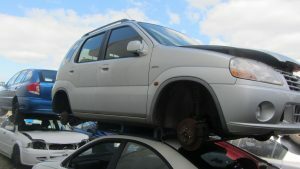 With the rapid growth of broken down vehicles in yards, vehicle owners have often deal with environmental hazards instead of attaining gratifying cash for cars in Perth. It is the most common myth among vehicle owners. But in actual, all used cars have some value, no matter it is damaged, rusted, or deteriorated. There is a number of car removal agencies that are always ready to pay maximized cash for cars. Most of the vehicle owners think car removal services are paid. The reality is that junk car removal services are totally free of cost. The whole car removal process performed by the experts is completely free. There are no hidden prices! Regardless of vehicles’ condition, make, or model, a certified car removal agency is ready to accept all car models. They have the ability to pick up vehicles of all shapes and models. These all points are helpful in changing the people’s misconceptions and make them understand the reality of car removal services. It is always best to sell used vehicles to reputed car removal agency and enjoy maximized benefits. However, faster car removal in Perth surely makes someone’s life much better.